So as a parent you would be quite aware that when schools, sports and community groups need to raise money for important projects, they usually use sugary treats. It’s a bombardment of sugar and other nasties all for the sake of fundraising. And who are you to argue when your child’s club or school needs the money, right? Well, Australasia’s most trusted garden care business YATES wanted to provide Aussie kids with a fresh and healthier alternative to fundraise. Yay! 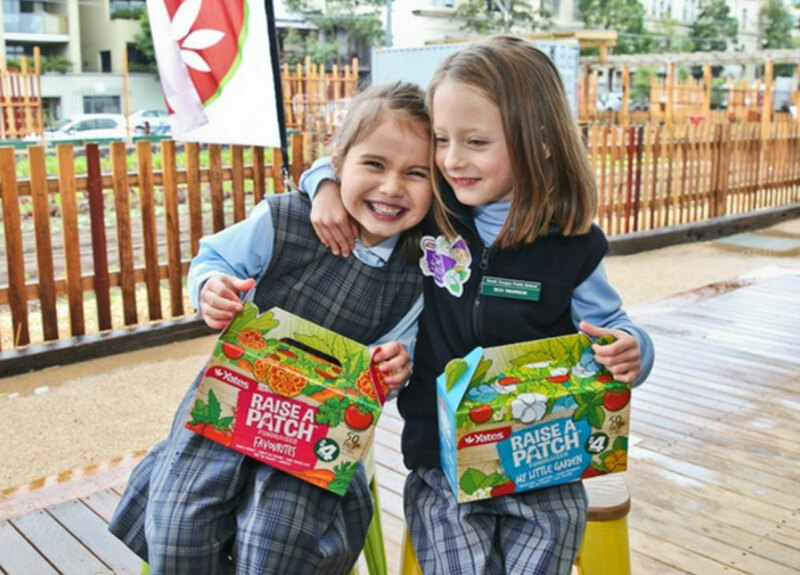 RAISE A PATCH is all about providing a way for kids to raise much-needed funds for their school, sporting club or community group, while also having fun growing things in the garden and learning about healthy food choices along the way. The initiative helps provide kids with an opportunity to learn about where their food comes from, encourages more children into the garden and increases awareness of sustainable living – all while raising double the money for important projects and helping families save on grocery bills. It’s easy – anyone who wants to fundraise can simply visit fundraising.yates.com.au and order a carry box of either 25 or 50 packet seeds. There are lots of packet combinations to choose from, so there are seeds for any time of the year, to grow a range of flowers, vegetables and fruit. Then it’s up to you! The website and Facebook page include loads of fun ideas for kids to sell their seeds, downloadable assets and video content for inspiration. A pack of 25 packet seeds costs $40 to purchase and the RRP for each packet of seeds is $4. That means a profit of $60 per carry box. A carry box of 50 packet seeds costs $75 to purchase, making you a $125 profit when all the packet seeds are sold. Cedric is Yates’ new puppet ambassador, a sure winner in the eyes of the young kids. He stars in a series of funny kid-friendly videos, which explain how the initiative works and provides gardening and fundraising tips. Cedric, however, has completely different ideas about why RAISE A PATCH is so important, with his main concern being the rising number of homeless gnomes and almost-extinct fairy population. Cedric wants children to help grow gardens, to make homes for gnomes and save the fairies.